It’s a powerful technology that permit you to integrate any software installed on your system in Free Images Commander. 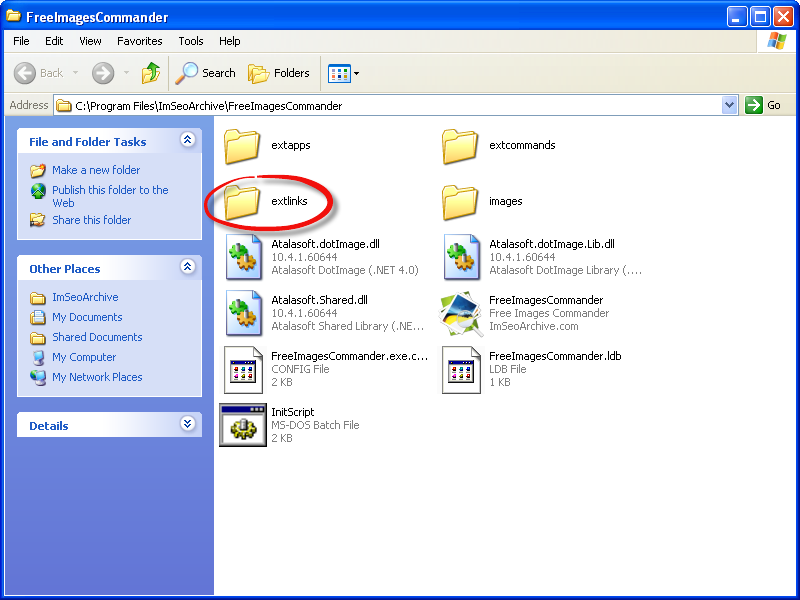 To open this folder when Free Image Commander main window is opened click on Image Viewer’s third button and click on “Open external links folder”. After you copied link, if you click on “Refresh button”, your software will appear in this dropdown menu. •Start your integrated application simply by selecting it in “Sent to…” dropdown menu. •Send multiple files to your integrated application by selecting them and clicking on your integrated application in dropdown menu.